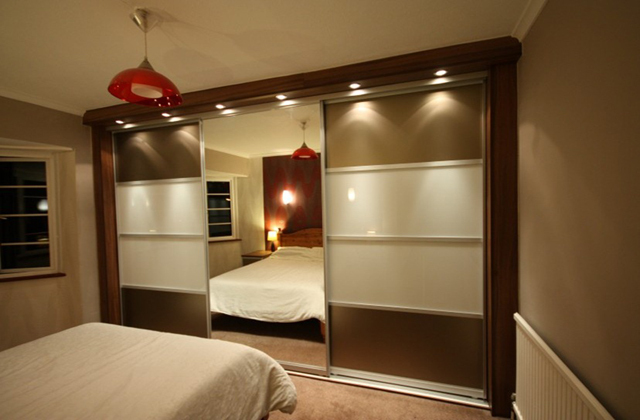 At Alternative Bedrooms – Nicky Sullivan Can Offer An Extensive Range Of Fitted And Customized Wardrobes To Suit Your Requirements With A Choice Of Hinged Or Sliding Doors. 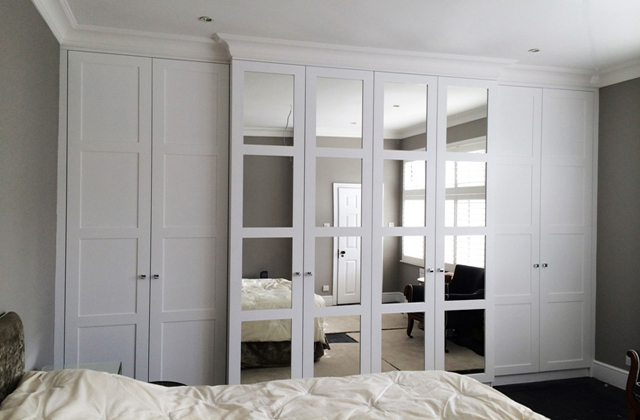 We will custom design your bedroom and wardrobes to be fitted perfectly, ensuring we maximise space and get the best out of any bedroom. We will give you a free, no obligation estimate – we know we are very competitive on prices and our quality of work is second to none. Once you are happy to proceed we will show you the final designs to ensure you are happy and that we have correctly understood your requirements. 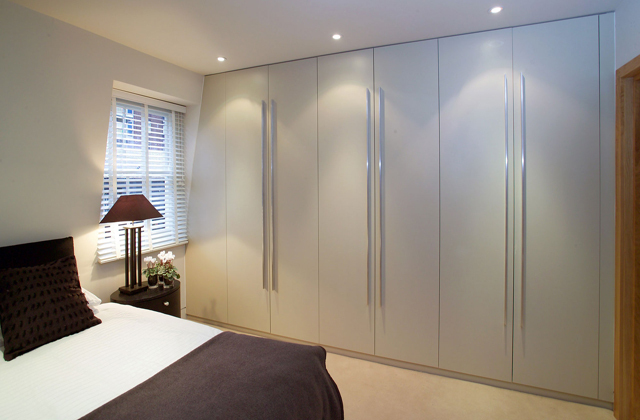 We can start working on your custom fitted wardrobes. We will prepare most items off site so fitting is much easier on the day. 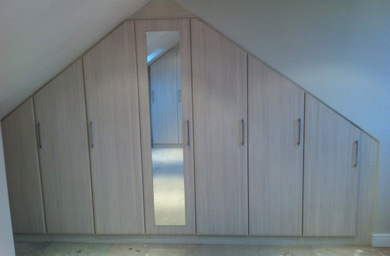 We needed a wardrobe to hide a triangular chimney breast, it was a tricky job and some carpenters turned it down. Nicky came over, listened to what we wanted and came back with a design and some suggestions. Though he wasn't the cheapest quote, we went with him as we liked his design. Glad we did, he did a very good job. Would recommend him without hesitation. Great job of very high quality and standard of work by Nicky of Alternative Bedrooms. I am really pleased with the wardrobe, the sliding doors are fantastic, and they just glide so smoothly, but are made of a very solid construction. Nicky is very good at keeping you up to date with progress, will always call back if you have a query and has a personable and helpful manner. He is also a clean and tidy worker who finished the job on the agreed date and wasn't even delayed by the snow ! I wouldn't hesitate to recommend his work, and am thinking what else he can now make for me. Thanks Nicky. Nick was very helpful from day one. It was easy to chose the materials, colors and designs with him, he had photos from other jobs, catalogs and some samples. Nick also provided solutions to better fit the spaces. Very reliable, the work was done within the agreed deadlines and without delays. 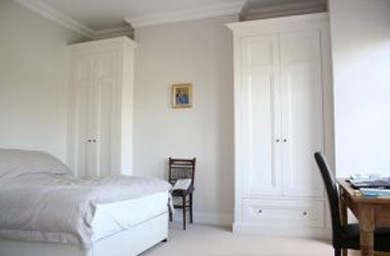 He fitted the wardrobes nicely and even the ones to be fitted in unusual spaces were done beautifully. The end result was amazing, it came together beautifully. Highly recommended. Reliable, great quality and very competitive prices. Nicky did an amazing job on our fitted wardrobes. We have a slightly interesting shaped room and Nicky was able to fit around the odd shapes. 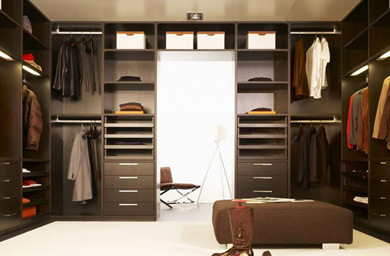 Quality of the wardrobes is excellent and top rate service at a very reasonable price. Wouldn't hesitate to use again. Nicky done an excellent job, I was a bit apprehensive at first having someone I didn't know coming into my home but within no time at all Nicky made me feel at ease. He done an excellent job and the quality and attention to detail was exactly what I wanted. Alternative bedrooms is an established company in Essex and the south east. I have always adhered to the same basic values, customer satisfaction is a priority derived through hard work, quality workmanship, attention to detail and an expertise which leans on 20 years experience.